I’ve mentioned it the previous times I’ve reviewed documentaries the inherent challenges of dissecting the genre. I feel as though all documentaries are made as persuasive pieces, trying to convince you of a certain train of thought through use of fact and through the power of editing. If it isn’t trying to persuade you to the filmmaker’s opinion, than the film is just a presentation of facts, and how can facts be critiqued? 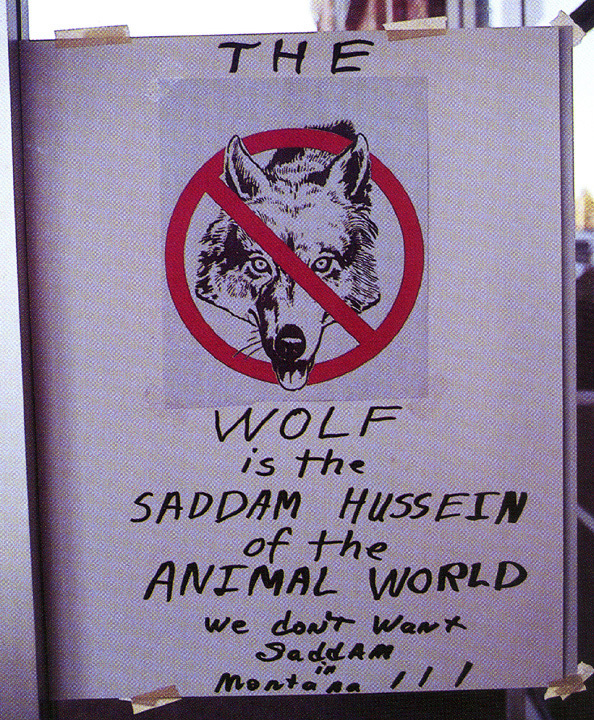 I avoid reviewing documentaries for this reason, yet when I had heard of the film True Wolf, I knew I was going to have to make an exception. Just from watching the trailer, I knew that at its core, True Wolf would discuss some of the ethical and moral implications of the way humans perceive, react to, and try to control nature. I knew that this film wouldn’t answer the question definitively, because I don’t feel anyone can solve this issue, and wanted to see the impact of raising a wolf in your house could affect wildlife biologists. 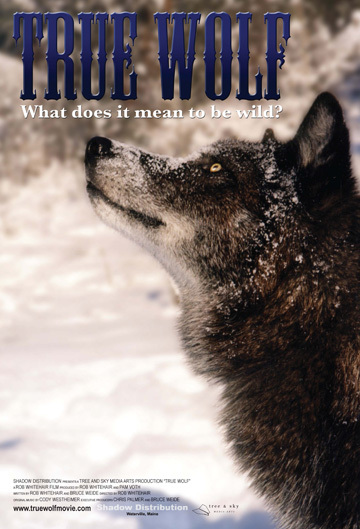 Two wildlife biologists, Bruce Weide and Pat Tucker, agree to help a movie director by “training” a wolf well enough for the director to shoot a scene involving a wolf in a classroom. When the director was done, Bruce and Pat didn’t have many options on what to do with the wolf, Koani, and rather than euthanize her, took it upon themselves to care for this wolf to the best of their ability. They had an idea of how to give her a healthy life, but there were some unexpected things that they couldn’t quite plan for to give her a “full” life, or as full of a life as a domesticated wolf could have. Things such as getting Koani a companion animal, a dog named Indy, or the fact that Koani needed to go on walks every day that lasted over two hours. Bruce and Pat knew they were presented with a unique opportunity with Koani, and they started a program called “Wild Sentry” which consisted of bringing Koani, along with Indy, to debunk the misconception about wolves. In most parts of the world, this might not seem like the most dire of situations, but in places like Montana and Wyoming and Idaho, this topic is a matter of life and death for wolves. Along the way, we see Bruce and Pat’s challenges and rewards in their experiences, the people they meet along the way, and the film still leaves the question in the hand of the viewers: should a wild animal ever be domesticated? I knew I was going to like this movie, even if it was just footage of wolves howling and running around and there was absolutely no narrative at all. The thing that impressed me most was how balanced the opinions were when it came to that most important question. It was Ed Bangs, who was head of wolf recovery for Yellowstone National Park, who mentioned that the more vocal either side of the situation, pro-wolf or anti-wolf, the more you could damage your cause. He conveniently was able to use the fable of the boy who cried wolf, that the more times and louder you champion your cause, this less of an impact those words have. There’s no question that this film was pro-wolf, as it chronicled the lives of two individuals who were pro-wolf, but it still raised the huge ethical debate of whether or not the ends justified the means of what Bruce and Pat were doing, and if any animal, especially an animal that so closely symbolized freedom, should ever be denied their freedom. As far as filmmaking was concerned, True Wolf was comprised mostly of archival footage of Bruce and Koani, as Koani passed away in 2007, as well as interviews with people involved with Koani and even some dramatic reenactments. The dramatic reenactments were a little silly, but considering the small budget of the movie, those reenactments got the point across. It was also a relief to Rampaige when she asked why everyone was so mad and yelling about wolves, that when I told her those segments were just actors, she calmed down. There were two segments included that were quite upsetting and made an impact, that it’s hard to say whether or not the film would have suffered had they been omitted, or if these segments only added impact to the message. The first segment involved Bruce remembering his childhood and how he offered to take a job that involved getting $50 for every wolf he killed. When he had his first opportunity to kill a wolf, he remembered documentary footage he had seen of a group of men hunting and shooting a wolf to death, which looked more like an execution by a firing squad that anything else. This footage was shown in True Wolf and it was quite disturbing to see a wolf murdered and its dead body repeatedly shot. Despite this footage being disturbing, it made you incredibly sympathetic to an animal that wanted nothing more than to live. The other segment took place towards the end and dealt with the death of Indy and ultimately the death of Koani. Bruce and Pat decided early on to not take extreme measures to ensure Koani’s survival, and when she developed a tumor on her leg, they determined a date and time for her to be euthanized. 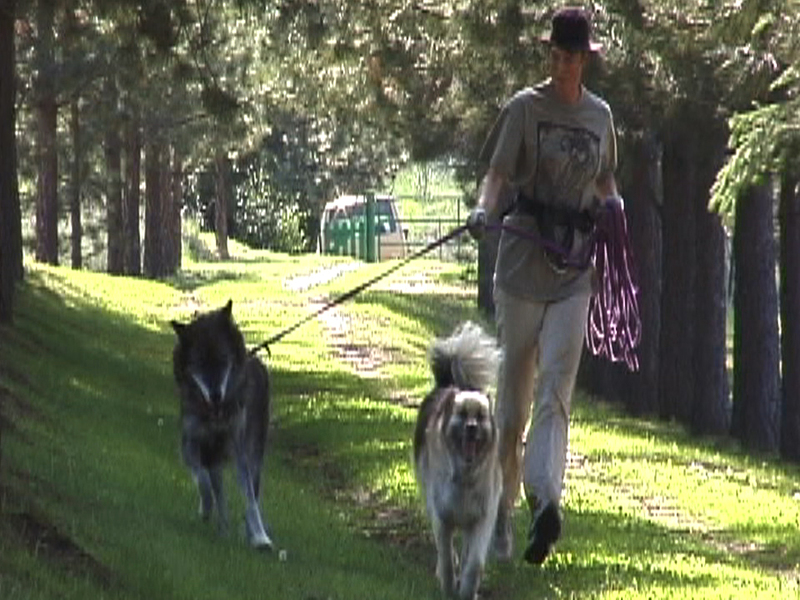 While Pat is describing her last morning, her last walk, her last smells of Koani, it’s gut-wrenching to say the least. 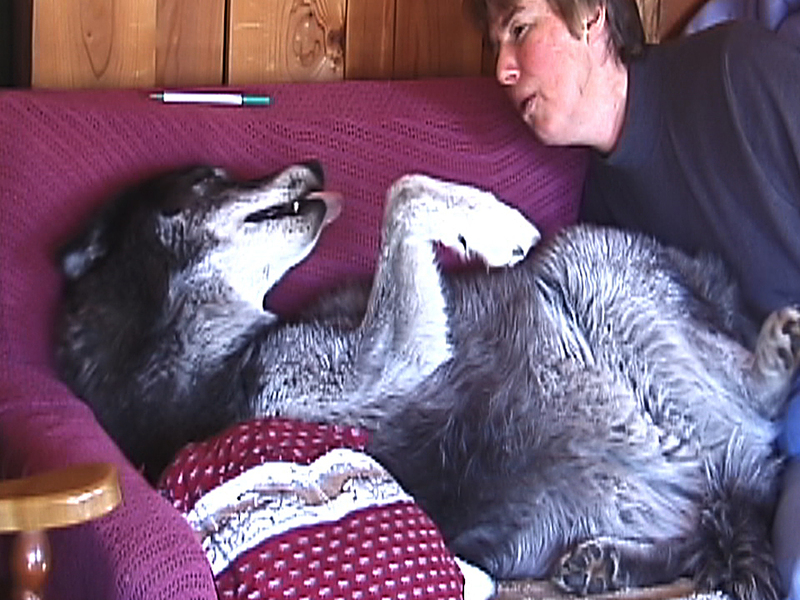 In addition to that, Bruce and Pat discuss that after euthanization, rather than bury Koani’s body the way you would a pet, they found a secluded patch of woods to leave her body. The justification for this being she died the way a wild wolf would, and that other animals could find use for Koani’s remains and her body wouldn’t go to waste. The upsetting part involved showing a series of photos that recorded Koani’s body decaying over months, each photo showing less and less of this animal you have come to admire and love throughout the film. I agree with the intentions of the way the remains were handled, but it was incredibly sad to see Koani disappearing one body part at a time. So what answers does True Wolf offer? Koani was a wolf born in captivity that was raised by humans, and Bruce and Pat took it upon themselves to work with her to appear in a movie and make note that the filmmakers that approached them didn’t really care what happened after Koani shot her scene, almost as if the three were all abandoned. This was briefly discussed early on in the film, yet was an important point. It wasn’t as if Bruce and Pat were forced into this situation, as I feel that Koani’s fate should have been discussed before agreeing to train her for the film. Despite my lack of sympathy for the situation, it didn’t change the fact that Koani had no family to teach her how to be a wolf in the wild. The amount of good that Koani did when it came to changing the public’s perception of wolves is immeasurable. From appearing on talk shows to having motorcycle enthusiasts starting a fundraiser for wolves to small children being able to tell stories of being licked by wolves, it’s clear that she impacted thousands of people. But was it worth it? Bruce mentions more frequently than Pat the amount of guilt he felt over raising Koani, and that even after giving Koani a 60 foot leash, eventually she would reach the end of that leash and it would tighten. Both Bruce and Pat are incredibly proud of the work they were able to do in changing the public perception of wolves and it was only possible because of Koani, but Bruce is the one who says that he’ll probably spend the rest of his life questioning whether or not everything was worth it from Koani’s perspective. 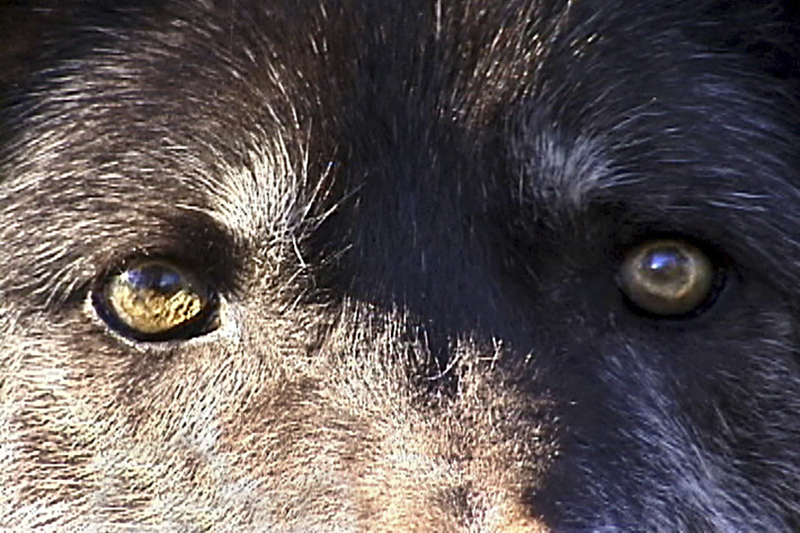 Though True Wolf gives lots of information regarding wolves, and raises lots of questions about the impact wolves have on human culture, as well as the impact human culture has on wolves, even bringing up the whole ethical debate of whether or not any animals should be raised in captivity, the movie doesn’t hold many answers. It gives us plenty of facts, and it certainly poses the questions, but leaves the answers in the eyes of the viewer. Considering that at the beginning of this review, I mentioned that documentaries really are typically trying to convince you of a certain way of thinking, I feel it necessary to bring up how balanced this film was. I left the film questioning more of my beliefs and values than I had anticipated, which I think is what makes this film so successful. If you love something so truly and so deeply as Bruce and Pat loved Koani, do your priorities lay with the individual and making their life as fulfilling as possible, or are you willing to sacrifice that fulfillment in order to make sure other animals LIKE Koani get better opportunities than you can provide? 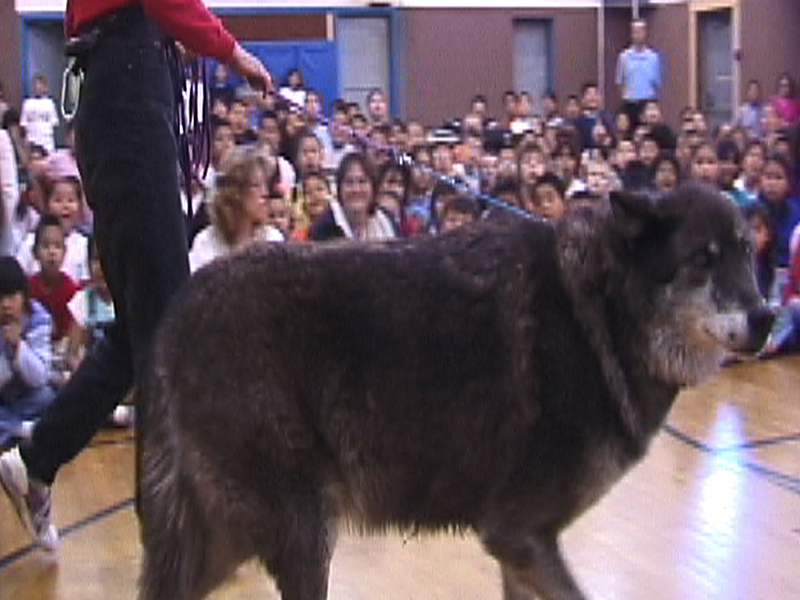 True Wolf was thought-provoking, heartwarming, charming, and educational. It’s a rare film that people who have conflicting ideas and opinions can come together to discuss, and maybe the more discussions there are about the welfare of animals, the more animals there can be for future generations to understand and connect with. I disagree that leaving Koani’s body to return to the earth in a natural way was upsetting. My husband and I thought it was very touching and beautiful . Bruce and Pat’s wisdom and love were spot on, rendering her at last to wild nature. Thanks for reading my thoughts! However, it sounds like there was some confusion as far as that part was concerned. I wasn’t at all upset or offended with what Bruce and Pat decided to do with Koani’s body and I totally understand why they made that decision. I was trying to point out that from a filmmaking standpoint, I was upset, as a viewer, to see Koani’s body decompose into nothing. I understand that not everyone would find that segment to be upsetting, I was just expressing my own personal opinion. Again, not upset with Bruce and Pat’s decisions, I just could have done with seeing Koani’s body decomposing. Hope that clears things up!